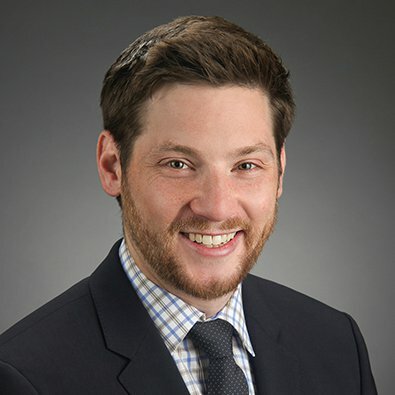 Ryan Rudich is an Associate in the Litigation Practice Group. He is a member of the Environment and Energy Practice Group and the Insurance/Reinsurance Industry Team. Ryan has a diverse environmental practice that focuses on defending businesses in complex environmental litigation, including against high-stakes toxic tort claims, government enforcement actions and in CERCLA cost recovery and contribution cases. Ryan also routinely counsels companies on compliance with state and federal environmental laws and regulations, assists clients with internal investigations and provides guidance on responding to EPA information requests. He has worked extensively for clients in the waste and recycling industry in Illinois and across the United States. Ryan’s insurance practice focuses on coverage disputes involving environmental liabilities. He has successfully litigated cases of behalf of insurers and policy holders. Counsels major national waste management company on compliance with New Source Performance Standards applicable to municipal solid waste landfills and other Clean Air Act regulatory and permit requirements. Defended international railroad company against US EPA enforcement action alleging violations of RCRA used oil regulations in connection with an onsite wastewater treatment system. Obtained jury verdict of no liability in odor nuisance lawsuit against municipal solid waste landfill brought by members of fifty households seeking millions of dollars for alleged loss of use and enjoyment of their homes and diminution of property value. Achieved a no-payment dismissal for alleged waste generator PRP from CERCLA contribution action. Defended landfill against personal injury and nuisance claims arising from alleged contamination of drinking water with disinfectant byproducts and other chemicals. Represents insurer in multiple lawsuits brought by electric utilities seeking coverage for liabilities related to coal ash management stemming from the EPA Coal Combustion Residuals rule and state laws. Assisted client with its response to information request from the US EPA under Section 114 of the Clean Air Act seeking documents related to a landfill gas collection and control system. Prevailed in declaratory judgment action against claim that a pollution exclusion and other provisions barred insurance coverage under D&O policy for losses arising out of asset transfers that were allegedly made fraudulently to avoid site remediation obligations. Freeborn & Peters LLP is pleased to announce that it has secured a favorable jury verdict for a landfill in Zion, Ill., in a contentious and protracted dispute brought on behalf of 50 households surrounding the landfill. The trial consisted of plaintiffs from two households, and the trial was intended to serve as a “bellwether” for the remaining cases. The plaintiffs alleged that odors, noise, dust, birds, and litter interfered with the use and enjoyment of their property.